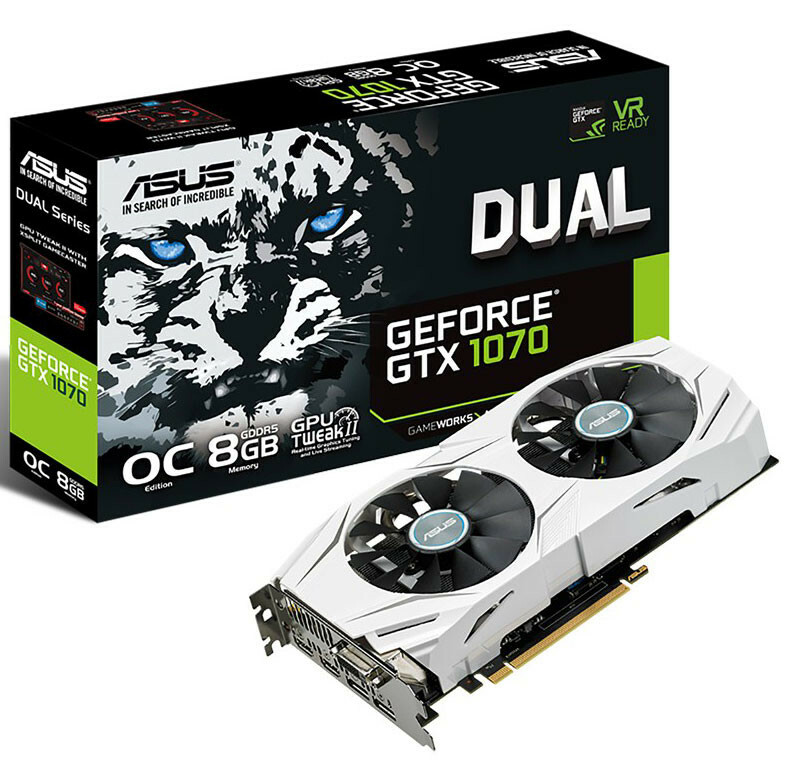 ASUS release their GTX 1070 DUAL GPU, featuring a dual fan white cooler design and a decent factory overclock. Read more on ASUS's GTX 1070 Dual GPU. That's a pretty misleading name for a GPU.. I thought it was gonna be a dual GPU on a single PCB. Reading the headline made me think is is a dual GPU card. ASUS needs to release a MARS III this year. The name is for the dual fan cooler. I would love to see a new Mars Card! Loved those things! Haha! I was like... what?! Sure they did, nothing is better for marketing than disappointment. To be fair i thought it was a dual GPU card at first as well, but that is probably more due to the headline being 1070 DUAL GPU instead of 1070 DUAL, the actual name of the card. I don't really fancy the card, looks a bit cheap. so its dual fan, not dual GPU?? What ever happened to dual GPU cards? Dual seems to be the new range below Strix and to set it aside from the triple fan coolers of that range. If you remember the DC range I would hazard a guess that the DC was short for Dual Cooler (or cooling or whatever).